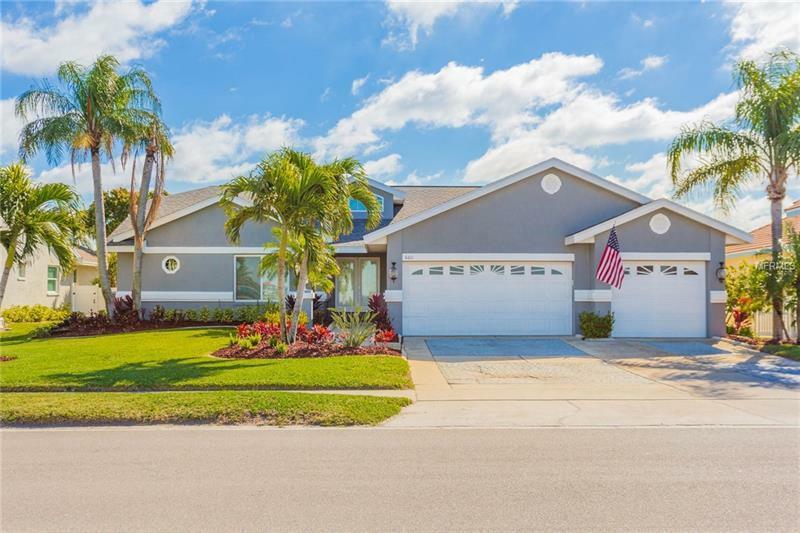 Cobia Cay presents this beautiful bay view home equipped with upgrades galore! NEW Hurricane Windows & Shutters, NEW Roof to Hurricane Code, NEW Dual Zoned A/C, NEW Pool with Brick Pavers, Resurfacing, Pool Pumps, & Heated Pool & Spa! NEW Bird Cage! Updated Master Bathroom, NEW Master Closet, Updated Living Room, Updated Guest Bathrooms, Updated Office, & Updated Landscaping! Walk into this beautiful home at almost 3000sqft, & greeted by amazing views of formal living room, dining room, & pool. The open concept three way split floor plan, makes it ideal for every family! The master bedroom to the left comes equipped with a 4 piece en suite & a custom closet fit for royalty: including multiple soft close drawers for clothes, additional storage & his-her vanities. The kitchen is perfect for entertaining during major holidays or for the big game! The living room has been updated for ultimate comfort of watching TV & enjoying your company! To the right of the home you'll find the other three bedrooms. To the back of the home you find your office which couples as the fourth bedroom and pool bath. Once you've enjoyed hanging out at the pool you can stroll down to your dock and enjoy the views Apollo Beach has to offer. Bring the family, the boat, and your RV -- with NO HOA you can use this domicile however you see fit! Lastly, morning coffee and a two minute walk let you and the family enjoy the beach. Cobia Cay & Apollo Beach welcome you to your new home! Contact us to schedule your private tour! Additional Water Information: Water view from front of home - Tampa Bay. Water View from back of home - Canal. 5 minute boat trip to Tampa Bay!! !